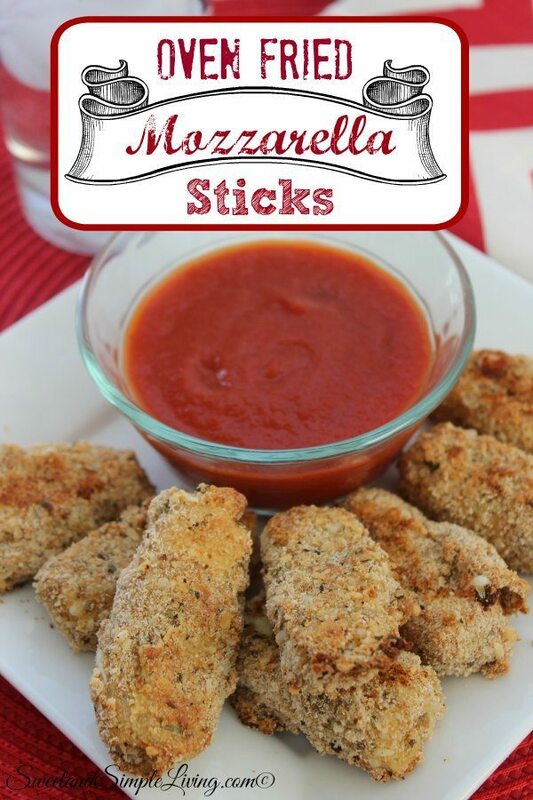 I’m so excited to share this Oven Fried Mozzarella Sticks recipe with you. Yes, they are fabulous, but for more reasons than that. One, these are baked and not fried. Now, I know it’s not the healthiest thing in the world…it’s not celery sticks or anything. But it’s baked and not fried, so it’s a step in the right direction. 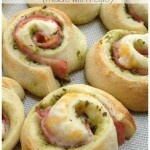 And two, this is a big one, I’ve attempted to make these before and let’s just say, it was no bueno. I basically just ended up with melted blobs of cheese on my baking sheet. 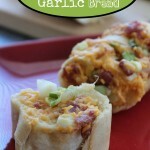 But, I’m excited to tell you that I found the secret to making this recipe work and I’m going to share it with you here! Place cut mozzarella sticks on a baking sheet and place in the freezer for 30 minutes to an hour. (This is the big secret!) This makes the cheese stay together while cooking. Once cheese sticks are frozen, preheat oven to 400 degrees Fahrenheit. Then spray the baking sheet with non-stick cooking spray. In a small bowl, beat eggs until well blended. In a shallow baking dish, combine bread crumbs, Parmesan, oregano, basil and garlic powder and mix well. Roll cheese stick in flour, then dip in egg (allowing excess to drip off), then in bread crumb mix. Dip cheese sticks a second time in egg then bread crumb mixture. Place on the baking sheet and repeat process for remaining cheese sticks. Bake for about 4 to 7 minutes or until crisp (watch carefully so cheese doesn't blow out). Prep time includes freezing the cheese sticks. That’s it folks! 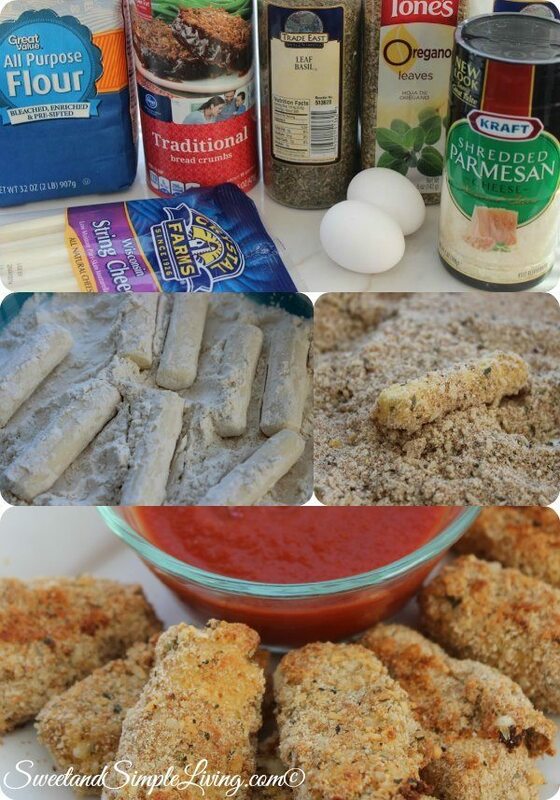 The secret to these Oven Fried Mozzarella Sticks keeping their form is freezing the cheese first! 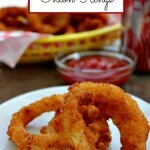 You could also just use Italian seasoned bread crumbs, or try adding a little bit of Cayenne pepper for an extra kick. 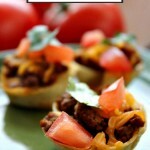 If you’re looking for more easy snacks to try, check out the 30 Fabulous Snacks Recipe Book. It’s just $2.99 for the Kindle version. Be sure to check out all of our delicious recipes HERE!